We re-created the Unii Lubelskiej square adding the unrealised edifice, in the square you can also see the Airman’s Monument which stood there before the war. Wykreślona Warszawa, which can be translated as ‘Crossed-Out Warsaw’, is the name of this incredible application, which takes you into an alternative history of Warsaw which never experienced World War II. It lets you visit familiar parts of the city as we know it today, but with buildings that were already designed and approved for construction in 1939, but due to the war never came into existence. 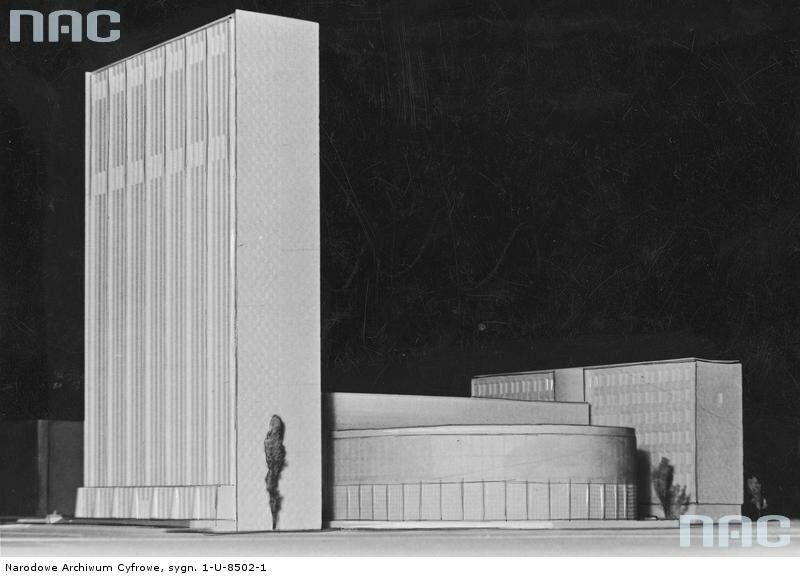 The large modernist façade in the app that caught my attention is the unrealised headquarters of the Polish Radio, designed by noted architect Bohdan Pniewski (1897-1965), who is responsible for a number of Warsaw landmarks such as the District Court building in Aleje Solidarności. Preparations for the construction of the Polish Radio building was already under way when World War II broke out, forever crossing it out of the Warsaw skyline. Thanks to Wykreślona Warszawa you can actually see it, right in the spot where it was meant to be, as if you were standing right in front of it. Over 20 storeys high, the building was to be one of Europe’s tallest – its monumental but nevertheless tasteful form makes quite an impression. The app is being developed by Pictureworks, a Warsaw-based graphic studio, which specializes in making visualisations, renders and animations for architectural studios, run by Piotr Greiner, Marcin Adamski and Marcin Ryśniak. I was among the lucky few who got a preview of it during its first-ever unveiling at VR Congress held at Warsaw’s Copernicus Science Centre. 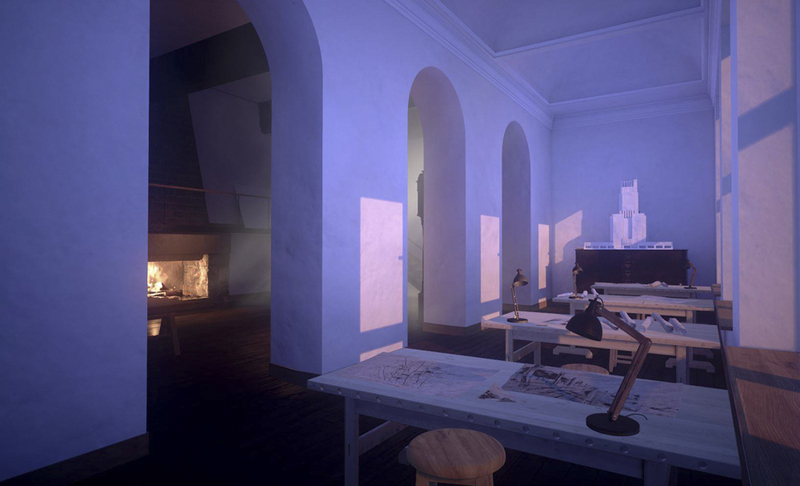 The creators of Wykreślona Warszawa stressed that what they were presenting wasn’t a fully developed application and that they still have quite a bit of work ahead of them. Be that as it may, already the results are nothing short of stunning. The realistic graphics give the app a great deal of appeal. When you stand in the virtual Unii Lubelskiej square you actually feel like it is real, which nicely amplifies the perception of the scenery’s centrepiece – the Polish Radio building. This is the only unrealised building you can currently admire in the app, but Pictureworks is already working on others. 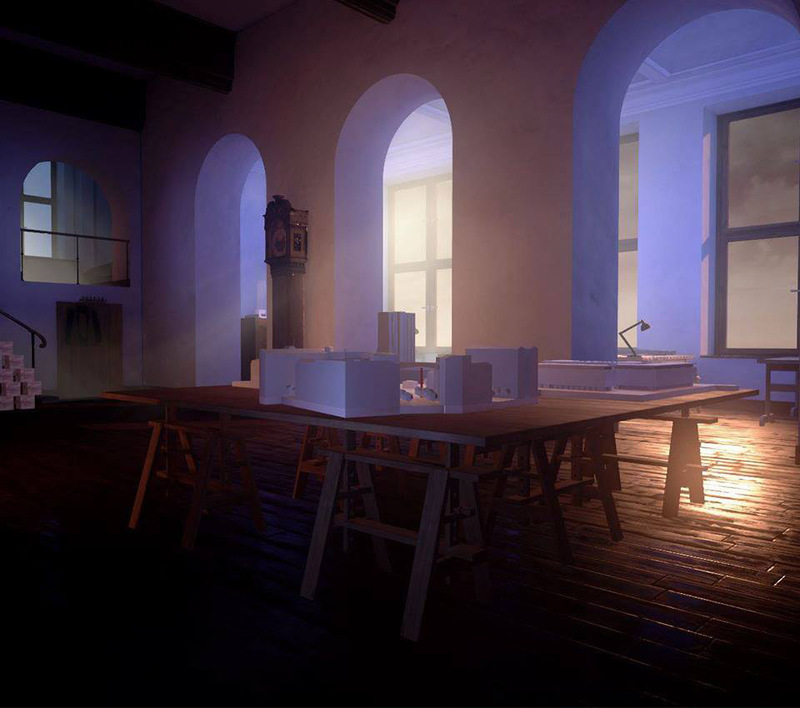 In the final version, the bureau will be the starting point of the app user’s exploration of a whole range of unrealised projects by Pniewski, for instance the Temple of Divine Providence. When asked about where the idea for Wykreślona Warszawa came from, its creators reply: ‘from our passion for architecture and the city’. When they were all studying architecture at the Warsaw University of Technology in the early 2010s they were interested in architectural designs that never came to fruition and began thinking up the idea of somehow re-creating them with the use of new technology. 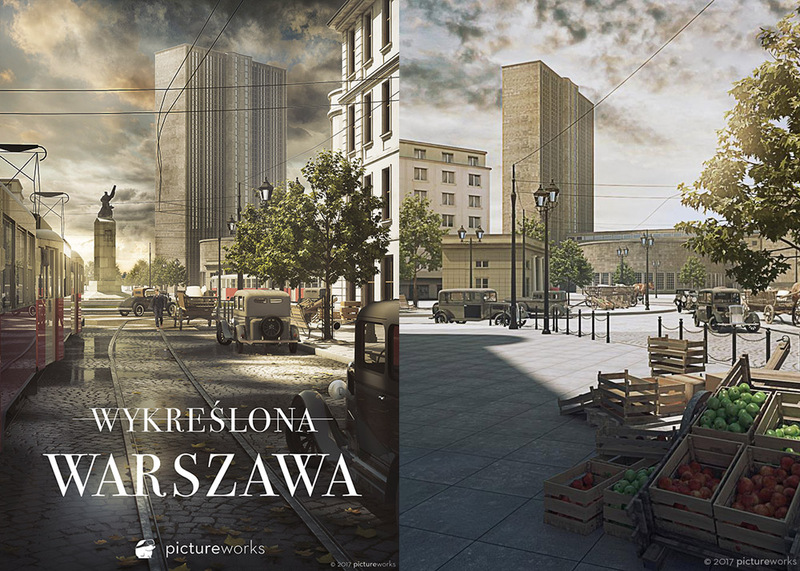 This passion drove them to conduct meticulous research on the never-built Warsaw. Marcin says that browsing through pre-war publications in search of (the very scarce) information on the Polish Radio building felt ‘almost like a detective’s job’. Eventually, they managed to find blueprints, sketches and other data. In the course of this research, they realised that Pniewski left behind so many unrealised yet valuable designs that they decided to devote the whole app to him.